21 1/4 by 31 7/8 in. 54 by 81 cm. 39 by 28 1/2 in. 99 by 72 cm. 25 5/8 by 31 7/8 in. 65 by 81 cm. 31 1/2 by 31 1/2 in. 80 by 80 cm. 5 1/2 by 8 5/8 in. 14 by 60 cm. 28 3/4 by 21 1/4 in. 73 by 54 cm. 35 by 51 1/8 in. 89 by 130 cm. 28 3/4 by 39 3/8 in. 73 by 100 cm. 23 5/8 by 31 7/8 in. 60 by 81 cm. 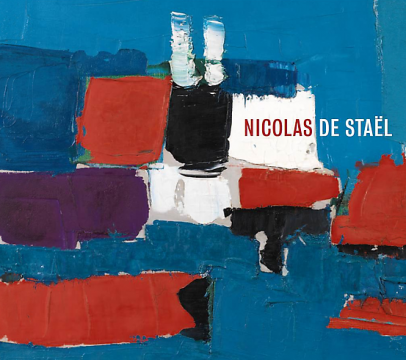 Mitchell-Innes & Nash is pleased to present an exhibition of paintings by Nicolas de Staël (1914 – 1955). This will be the first solo exhibition of de Staël’s work in New York since the gallery’s inaugural exhibition in 1997. The show will include a dozen paintings from the 1950s, the artist’s most prolific and significant period. Loans for the exhibition have been secured from public and private collections, including several paintings that will be shown for the first time in New York. Nicolas de Staël was one of the most influential and celebrated European painters of the post-War period. In the course of a tragically brief career he became a leading figure of what is now called the School of Paris. Expanding on the tradition of artists including Henri Matisse and de Staël’s close friend Georges Braque, he forged his own unique and unparalleled style. Hovering between figuration and abstraction, his paintings are marked by their heavily impastoed surface, their simplicity of composition, and a bold but sophisticated use of color. De Staël was once quoted as saying that painting consisted of “l’entre-deux, what lies between the two.” This notion is evident everywhere in his painting, as the juxtaposition of abstract shapes of color creates the sense of space, place and light for which he is known. Nicolas de Staël was born into an aristocratic Russian family in 1914. Forced to emigrate in the aftermath of the Russian Revolution, the family relocated to Brussels where de Staël later studied at the Académie Royal des Beaux-Arts. As a complement to his formal schooling, de Staël traveled throughout the Mediterranean region, and the landscape, light and colors of the bright southern climate remained a source of inspiration throughout his life. De Staël’s career was brief but intense, spanning only about 15 years. He first began exhibiting in Europe in the 1940s. By the early 1950s, he was well-known in Europe and had begun to exhibit in New York, most notably at Knoedler & Co. and at the Paul Rosenberg Gallery. De Staël’s work is included in many museum collections in the US and Europe, including the Solomon R. Guggenheim Museum in New York, Tate Modern in London, the Centre Pompidou in Paris and the Phillips Collection in Washington, D.C. His work has been the subject of several museum exhibitions, most recently a major retrospective in 2003 at the Centre Pompidou and a 2007 exhibition at the Fundació Caixa Catalunya, Barcelona. Other notable exhibitions have taken place at the Phillips Collection, the Art Institute of Chicago, and the Schirn Kunsthalle, Frankfurt. The exhibition will be accompanied by a fully-illustrated catalogue with a new essay by English art historian Michael Peppiatt. In the United States, an eerie silence surrounds the work of Russian painter Nicolas de Staël. His name is rarely, if ever, recommended to or cited as an influence on an American painter. The first reason for his relative absence from the American consciousness is simply bad timing.